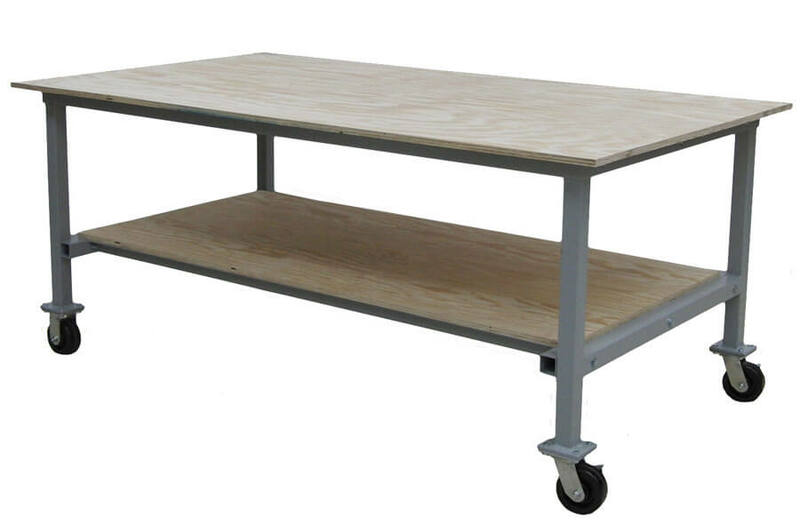 Constructed of light weight aluminum. 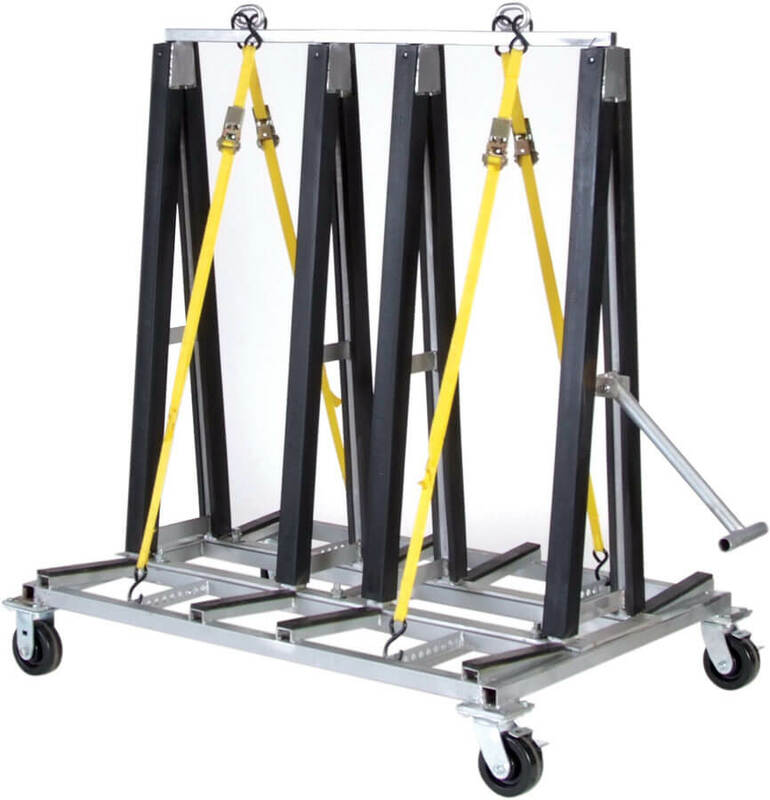 Heavy duty rubber is mounted to cart to protect material. 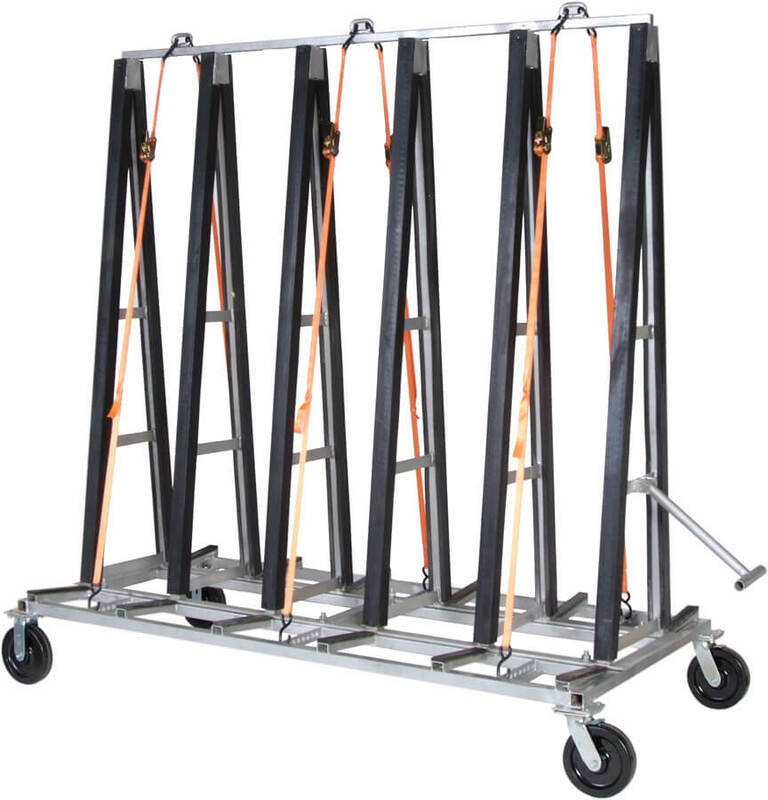 Includes straps to secure material to the cart. 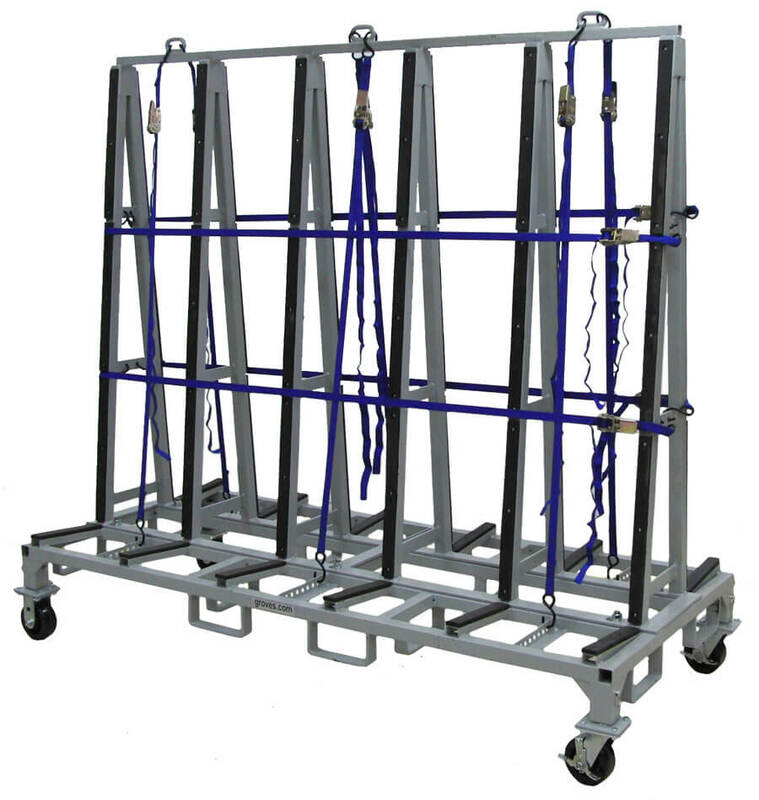 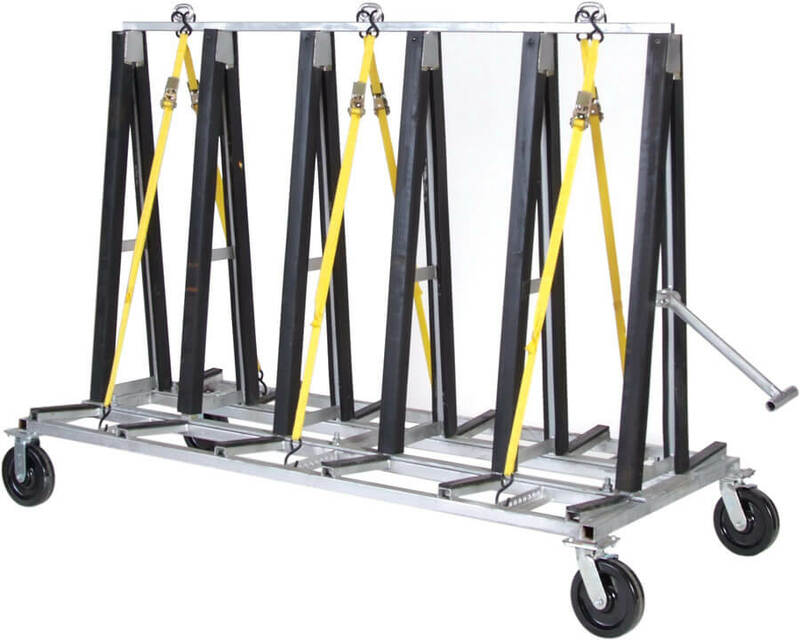 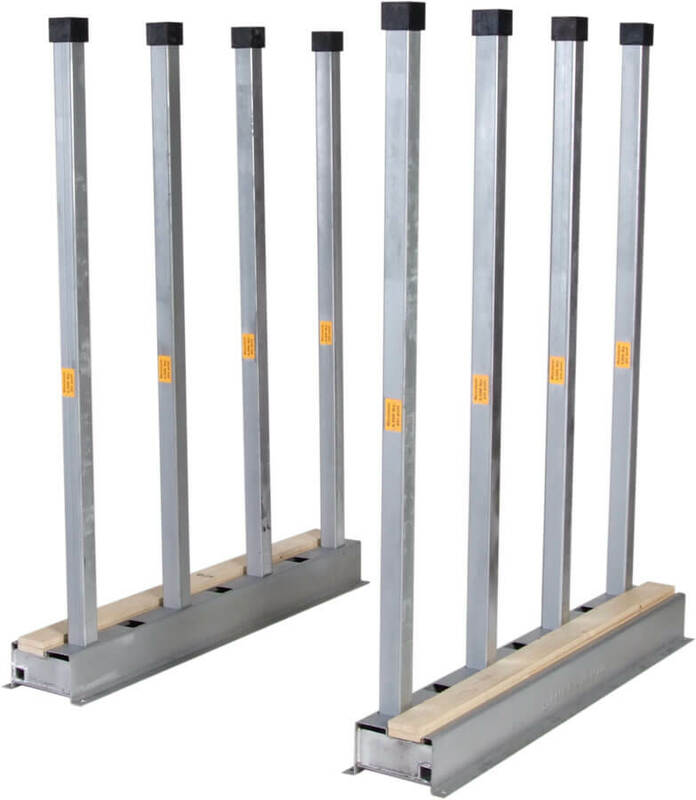 SKU: LWAC-40 Categories: Fabrication, Glass, Installation, Lightweight Aluminum Install Carts, Lightweight Aluminum Install Carts, Lightweight Aluminum Install Carts, Warehouse Dimensions: 40" Long x 32" Wide x 48" High Weight: 62 Lbs. 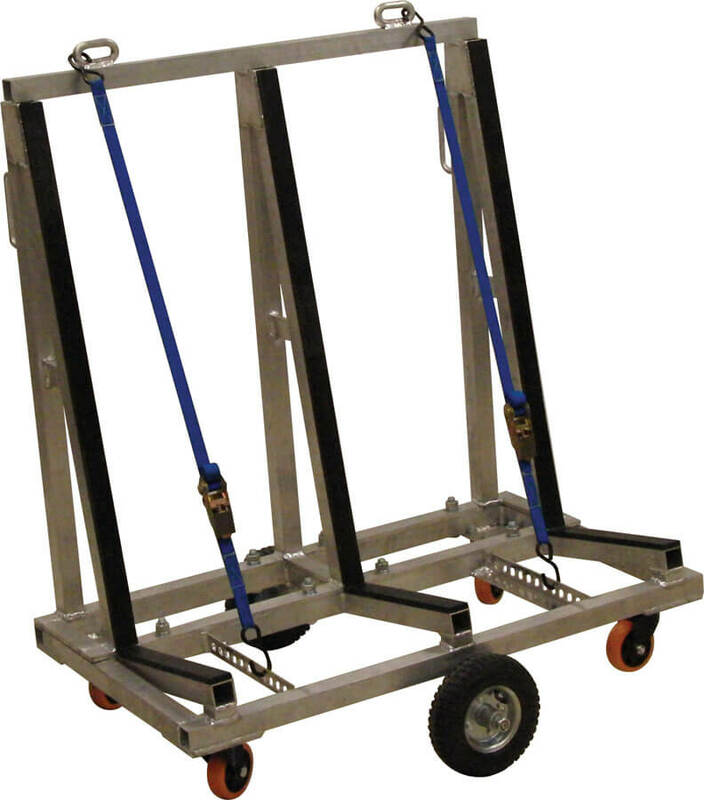 Six wheel design allows for cart and material to have a zero turn radius, and can easily clear curbs, thresholds and other jobsite obstacles.